Restaurant in shades of wood with picture windows arranged around the fish and seafood buffet, allowing diners to feast inexpensively on marinated sardines, Greek style mussels, whelks, anchovies, seasonal cold vegetables and cold meats... and a dessert buffet with crème brûlée and freshly prepared tart. 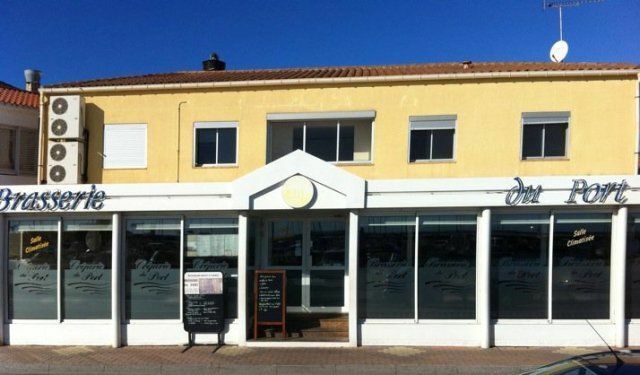 The main courses on offer are very good quality and include bass in a salt crust, griddled cuttlefish, fried calamari with parsley sauce and a wonderful parillade. Fresh fish and shellfish are caught every day. There is no review about Brasserie Du Port, be the first to leave one !